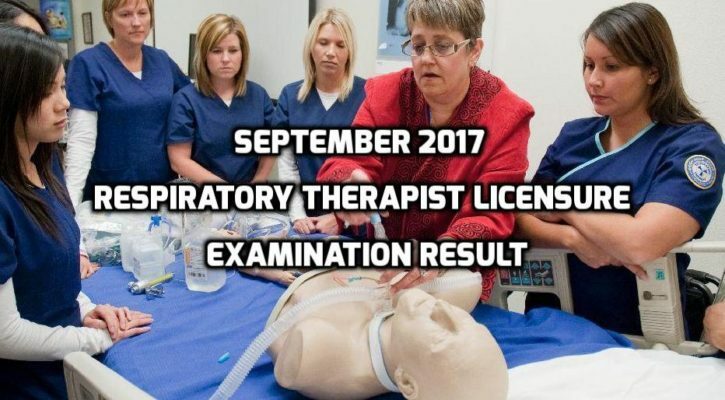 The list of passers for the September 2017 Special Professional Respiratory Therapist Licensure Examination result is now available from the Professional Regulation Commission (PRC). 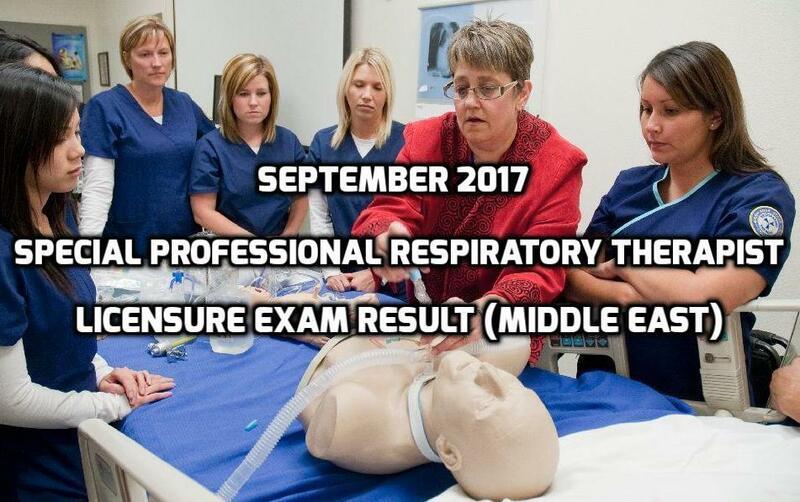 The board exam took place in the Middle East from September 1-2, 2017 and released on October 5, 2017. From the shared information of the commission, 83 applicants took the examination and 67 passed successfully. 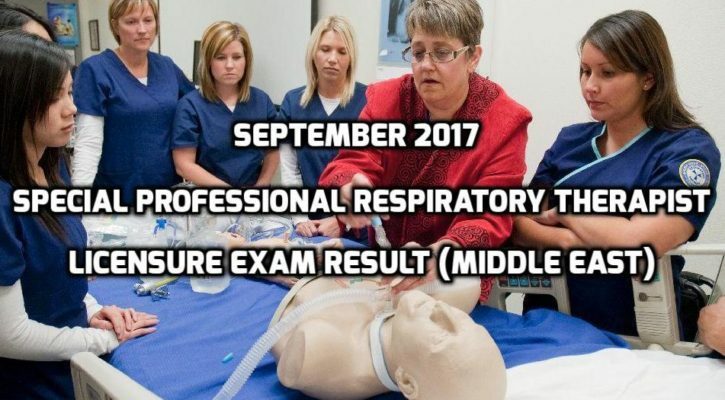 The Board of Respiratory Therapy from the PRC administered the board exam headed by Chairman Julita V. Toledo, members Jesus M. Espinas and Senen O. Teope. The examinees took the licensure at the designated test centers in UAE, Abu Dhabi, KSA, Qatar, Oman and Kuwait. 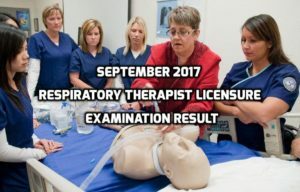 The results of the recent September 2017 Respiratory Therapist Licensure Examination are now available as revealed by the Professional Regulation Commission (PRC) after the last day of the scheduled board exam. According to the commission, 974 took the examination and 597 of them passed successfully. The exams took place in the designated testing centers in Baguio City, Davao City, City of Manila and in Zamboanga City last September 6-7, 2017. The Board of Respiratory Therapy from the PRC administered the examinations headed by Julita V. Toledo (Chairman of the Board), Jesus M. Espinas and Senen O. Teope (Board Members). The PRC likewise announced through its official online website that the Professional ID and Certificate of Registration issuance will be on September 14 and 15 this year. It is advisable for the passers to visit the site and understand the imposed guidelines before the schedules.